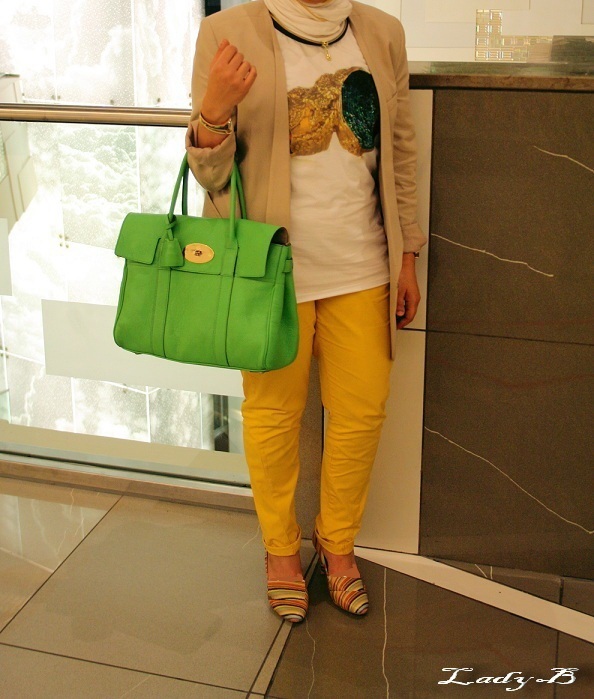 Lime & Lemon colours broken down by neutral beige and those fun swirled on her pointed toe shoes ! she looks so zesty and fresh ! She had a fun arm party going on, I'm kicking myself right now for forgetting to snap a picture !